You ar looking fo an unforgettable getaway? Than join us und book this fantastic journey along the Alps. 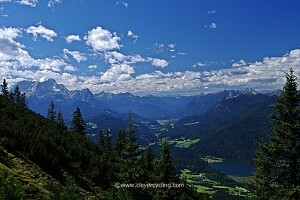 This route shows you the diversity of German Alps. 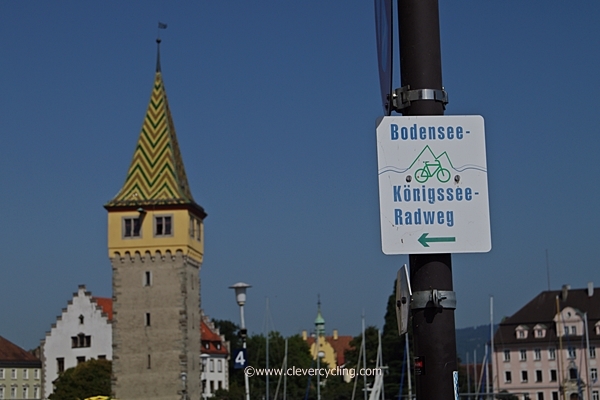 The journey begins on the island of Lindau in Lake Constance, the largest lake in Germany. 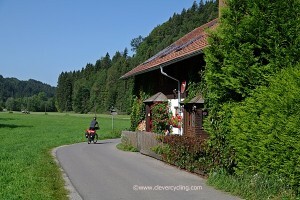 You ride on quiet cycle paths through a varied mountain landscape. 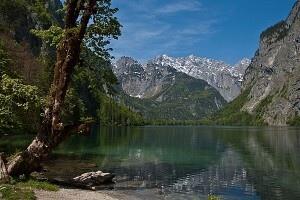 Numerous lake, many cultural attractions and the Nationinalpark Königssee at the end are further highlights of this journey. More time for pleasure. This bicycle-journey takes a bit longer than the sporty version. For this, the stages are mostly shorter and you have more time to enjoy. Because you probably don't visit every year one of the most beautiful regions of Europe. Your journey begins very relaxed in Munich Centralstation by train. The journey takes about 2:45 hours. The entrainment of your bicycle in the train is not a problem. The arrival in Lindau is exciting. 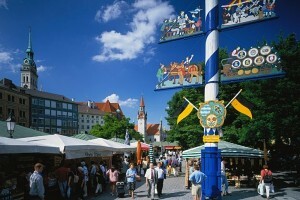 The railway station is located in the historic citycentre on an island in Lake Constance. This lake is the third largest lake in Central Europe. The view of the nearby Swiss Alps increases the anticipation for the trip. After check in you can test a piece of the legendary Lake Constance cycle path. 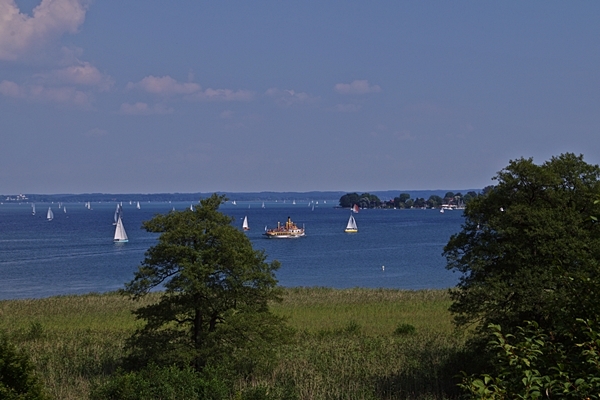 In the evening, we offer you a small cruise on Lake Constance. Departure at 18:00 clock, duration approx 1 hour. Difference in altitude, only in the ascent approx. 690 Meter / 2264 ft.
You will leave the old town of Lindau and Lake Constance behind you. 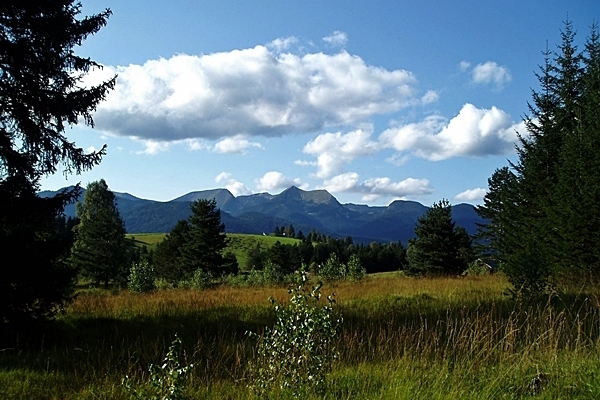 With a little luck you will have a beautiful panoramic view of the Swiss, Austrian and German Alps. You ride through green pastures country where numerous "lucky" cows graze. The production of cheese (e.g. Allgäuer Emmentaler) in this area is world famous! Your destination is a small mountain-village at the foot of green mountains. Difference in altitude, only in the ascent approx. 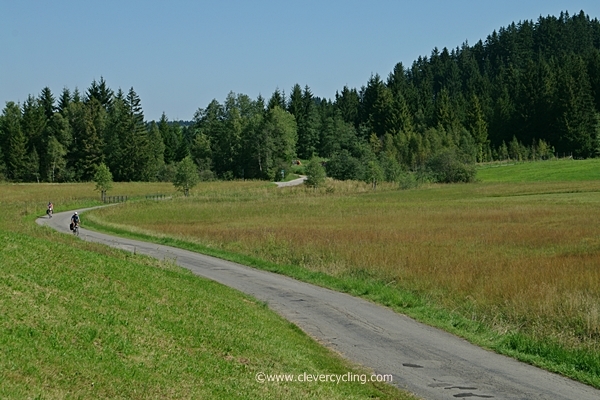 250 Meter / 820 ft.
After yesterday's mountainous stage, awaits you today a pleasant flat route. A long descent leads you to the lake called Großer Alpsee. After 25 km you reach your stage destination Immenstadt. Leave your luggage at the hotel and enjoy the rest of the ride along the river Iller in the mountaineering and ski village Oberstdorf. 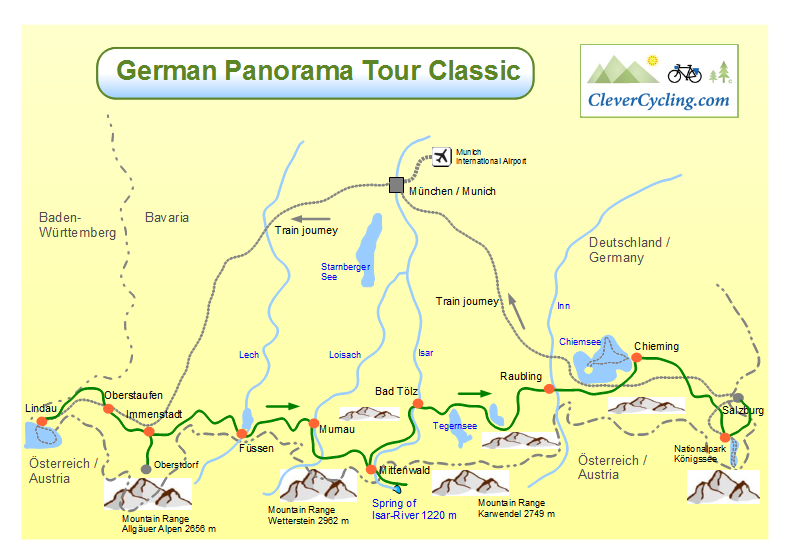 Here you are for the first time on the route in the middle of the high Alps in Germany. You will pass the world famous Wieskirche (World Heritage), the church which embodies the Bavarian Rococo style – a excellent place for a break. The last few miles / kilometers lead you through the largest moorland in Central Europe. Set in a magnificent lake and moor landscape, Lake Staffelsee with its seven islands set against the backdrop of the Upper Bavarian Alps comes into view. 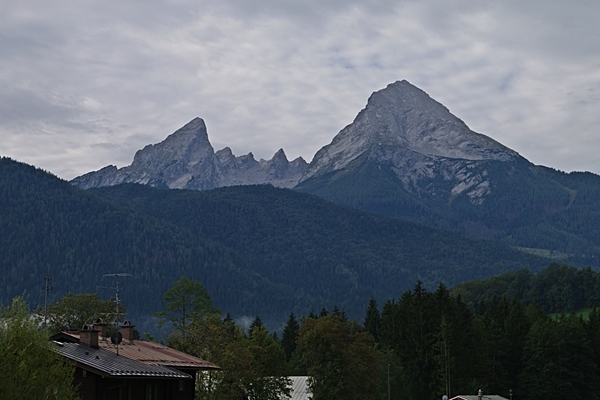 Past the Murnau Moor you reach the highest mountains in Germany. A wonderful path leads you to Garmisch-Partenkirchen. Left and right of the path you will discover a rich flora in a wide river valley. The view of the Zugspitze mountain range (2962 m 9718 ft.) is breathtaking. The difference in elevation from the valley to the summit is 2,200 meters / 7200 feet! Afternoon between 15.00 and 17.00 clock / 3:00 and 5:00 pm: Visit the spectacular Leutasch-George near Mittenwald. The scenic highlight of your journey awaits you. Wonderful quiet roads lead you into a stunning world of high mountains in Austria. You always follow the Isar river. This river is getting narrower and narrower until you arrive at its sources. Difference in altitude, only in the ascent approx. 150 Meter / 493 ft.
Also in this historic old town (pedestrian zone) you find sumptuous buildings with “Bavarian-facadeas paintings”. Numerous well-known artists and writers visit this area. Difference in altitude, only in the ascent approx. 920 Meter / 3018 ft. This tour leads to two magnificent mountain lakes. 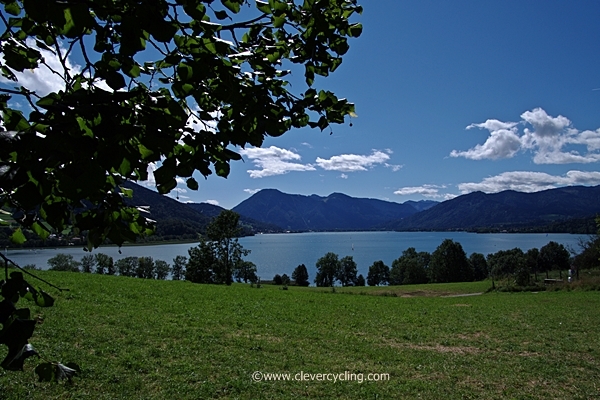 The gorgeus panoramaview from the shore of the lake Tegernsee ( one of the most famous lakes in Germany) is like in a picture book. Also a nice beach is ideal for swimming. Here you can admire splendid beach beauties! 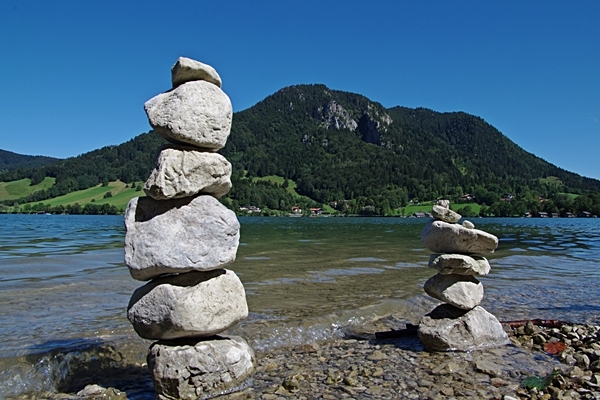 Over a range of hills you come to the next mountain lake (Schliersee). The bike path leads quietly along the shore. Here you can also swim in the clear water and thereby enjoying the view of the mountain panorama. Through a wide Bavarian alpine-farmland you come to the next wide moorland. Nearing your destination, the longest descent (7 km / 4,5 mi) of the trip is waiting for you. Difference in altitude, only in the ascent approx. 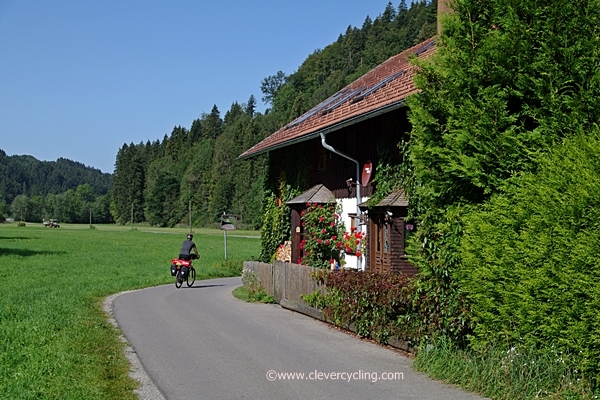 280 Meter / 919 ft.
First highlight today: The village Neubeuern, with its historical center. Often it serves as a backdrop for TV movies. In a small family-bakery you can still buy real homemade breads or cakes – without chemical additives. Quiet roads and great bike paths lead you directly back to the alps. 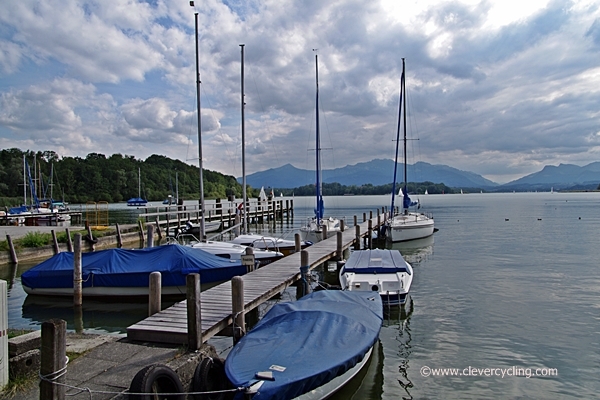 After a long descent, you reach Bavaria's largest lake Chiemsee. 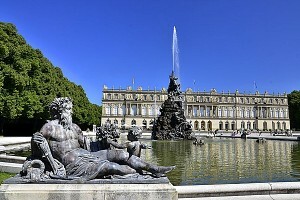 Next highlight: After this short trip you take a boat trip to the island of Herrenchiemsee. On the island you visit the mighty king-castle, the Castle Museum and the old monastery. The view from the monastery of the other islands and the lake is really impressive. Difference in altitude, only in the ascent approx. 850 Meter / 2789 ft. The tour continues again (up and down) on small, quiet roads and cycle paths. A part of the route is pleasant flat. Finally, you still have to climb two long slopes. Then you did it. Germany's most beautiful panoramic tour is yours! You can be very proud of this fantastic performance! 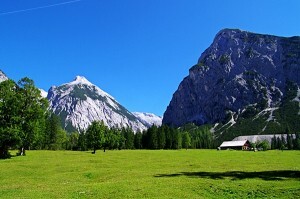 Your overnight stop Berchtesgaden, has still one of the largest salt mines in Europe. 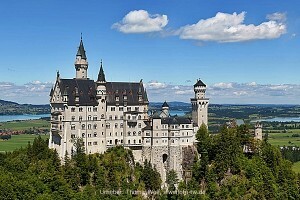 A sad celebrity got the place by Hitler's frequently stays, and its command center on the “eagle nest”. The latter is today a major tourist attraction. You did it! 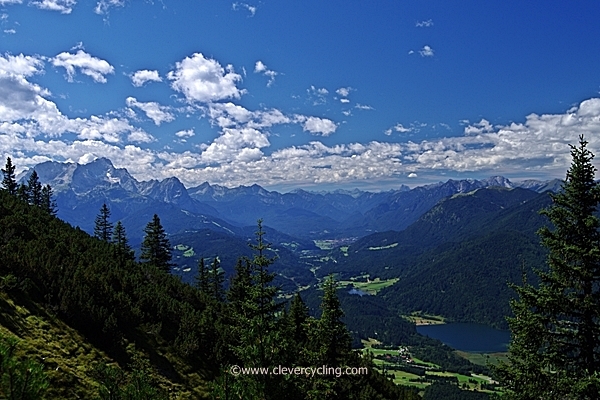 You are cycled along the whole chain of the Alps in Germany. Now you deserve a special reward. We find a boat tour of Germany's most beautiful lake is the "perfect present" for you. On a quiet electric boat (seats for max. 50 people) you discover this wonderful lake. Note: The lake is located in the national park, so motorboats are prohibited. "Sky high" rock faces rise on either side to hopefully blue sky. Not only the beautiful landscape fascinates you. Middle of the lake you will hear a trumpet solo – and the multiple echoes in the cliffs. At two "piers" you can get off and start for a walk in the beautiful surroundings. We are sure: This last day of your journey will memorable for you. After a very good breakfast you ride to the nearby railway station. First you ride with the modern suburban train to Salzburg. Would you rather ride with your bicycle to Salzburg? The ride is very scenic and takes about 2.5 hours.With a modern train you ride without having to change from Salzburg back to Munich. The entrainment of your bicycle on the train is not a problem. Through the train windows you can see a part of your journey again. The journey takes about 2 hours and 10 minutes. 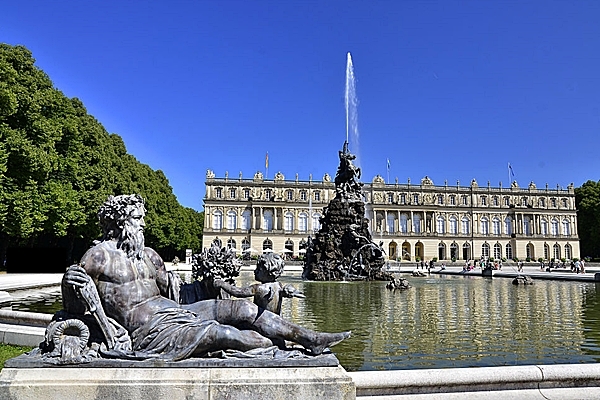 Our service for you: We are happy to book additional nights for you in Salzburg or Munich, that you can explore one (or both) of the beautiful City-Center and surrounding.